In just under six months time, on 22 July, a £200million investment at Derby railway station gets underway. 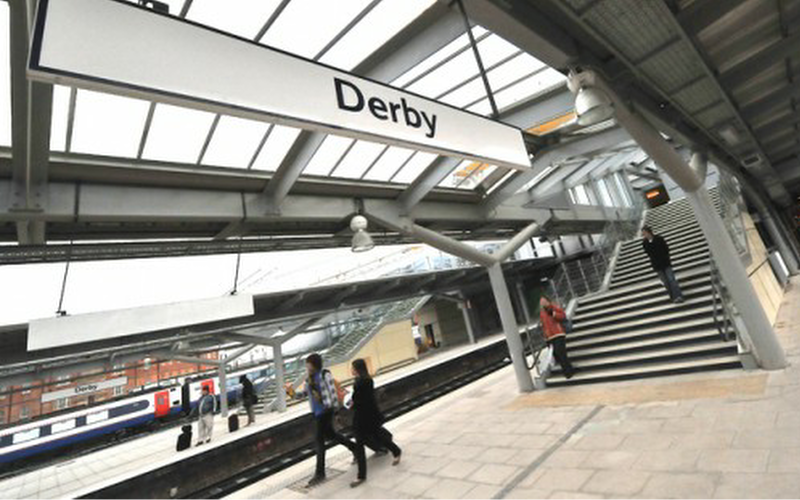 Derby Resignalling is the biggest rail investment in Derby for decades and will replace and upgrade the current track and infrastructure to provide better journeys for the thousands of passengers who travel to, from and through Derby every day. It is part of the biggest upgrade of the Midland Main Line since it opened in 1870 to support better journeys between Sheffield, Derby and Nottingham. Network Rail, East Midlands Trains and CrossCountry are working in partnership to help passengers, businesses and communities understand the temporary changes to their journeys. This joint approach means all passengers who will experience temporary changes to their journeys will receive simple, consistent and timely information to help them continue to travel with confidence while these works take place. A key part of this commitment is the launch of a dedicated new website. It includes a simple A-Z station directory which provides detailed travel advice broken down by station and date to help passengers understand the temporary changes to their journeys, six months before works take place, regardless of whether they travel with CrossCountry or East Midlands Trains. It is available at www.dby2018.co.uk<file:///C:\Users\knighte\AppData\Local\Temp\notes142542\www.dby2018.co.uk> and available now. Changes to journeys vary depending on when and where passengers are travelling. However, East Midlands Trains and CrossCountry services to and from Crewe, Matlock, Birmingham, Nottingham and Sheffield will be affected at different times while the work is carried out. Services to and from Nottingham and stations south of East Midlands Parkway on the main line to London are only marginally affected but you may still wish to understand these impacts as well as the details of the work taking place. It is also important to remember this investment is a key part of the biggest upgrade of the Midland Main Line since it opened in 1870, which will support better journeys between Leicester, Sheffield, Derby, Nottingham and London. Final timetables are not available yet but we are working hard to publish them as swiftly as possible. As soon as they are ready, we will be in touch to make sure you have the latest and most up to date information. The Derby Resignalling website also provides a more detailed explanation, frequently asked questions and a new CGI animation explaining why the works are needed and how they will be delivered during the 79 days of carefully planned activity. A copy of the customer leaflet is attached, alternatively you may wish to pick one up in one of our stations or speak to a member of staff who will be happy to help. Next Bramcote Today is getting a makeover!